Whether you’re looking for a quick, healthy nosh or something hearty for dinner, Nature’s Corner is the place for you. Every day our Fresh Food case is filled with original home made offerings from our experienced and innovative chefs. On any given day you’ll find an array of items from hearty vegan lentil loaf to grass-fed, free-range beef stew. Our offerings are constantly changing to meet your needs and keep things fresh and enticing. We use only only fresh organic produce and the finest natural and organic ingredients, so you know only the best goes into everything we make. We’re more than happy to accommodate any special requests, dietary needs and allergy restrictions whenever we can. 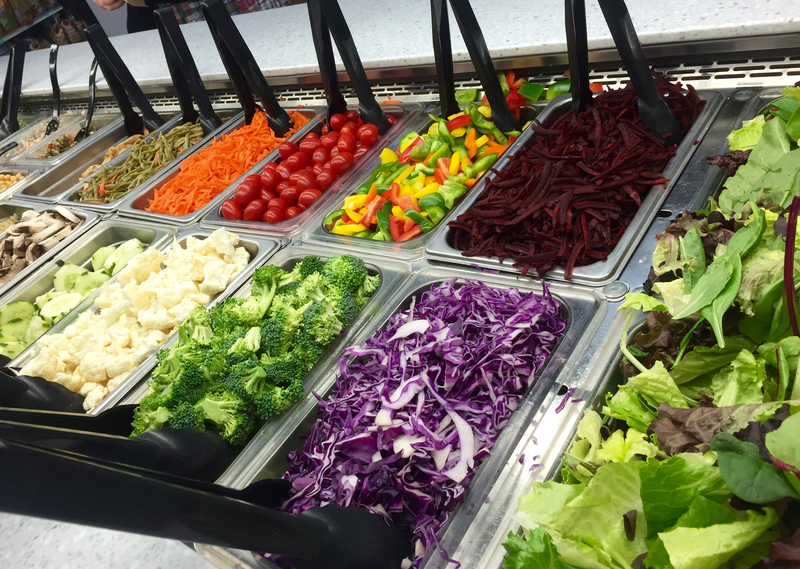 Nature’s Corner is also the home of the Best Organic Salad Bar on the Jersey Shore. Here we use only the highest quality organic veggies, prepared products and dressings, always fresh and always delicious. 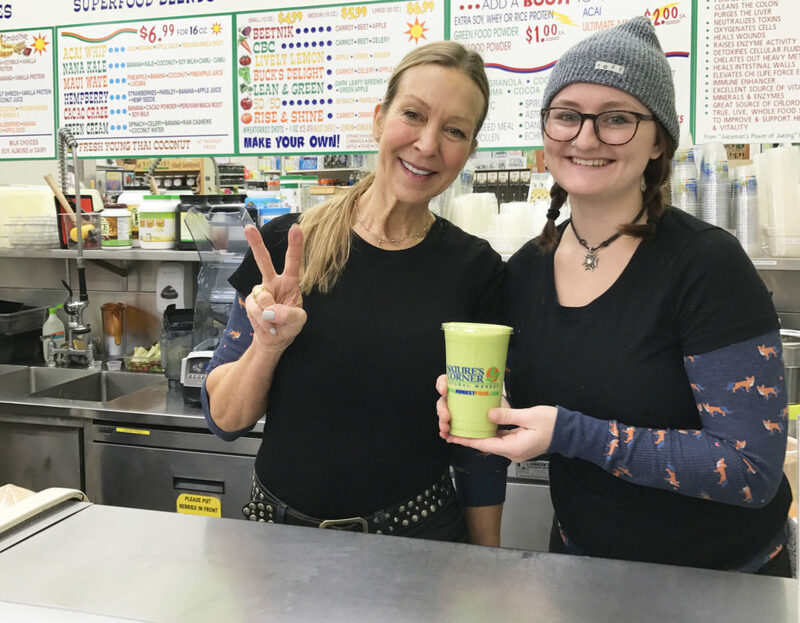 If you’re looking for something to go with that salad you can get a custom chicken, un-chicken, tuna, egg or raw kale hummus wrap made fresh just for you. If you’re in a hurry, choose one of our many delicious ready-made sandwiches and you’ve got lunch on the go. Every day we have a rotating selection of wonderful hearty Soups, one of which is guaranteed to be certified vegetarian or vegan. It’s the perfect way to warm up after a day in the outdoors or stay cozy on a rainy night in. Another way to warm up is with any one of a number of organic teas or with a hot cup of our Certified Organic, Shade-Grown freshly brewed coffee. And don’t forget our award-winning Organic Juice and Smoothie Bar. 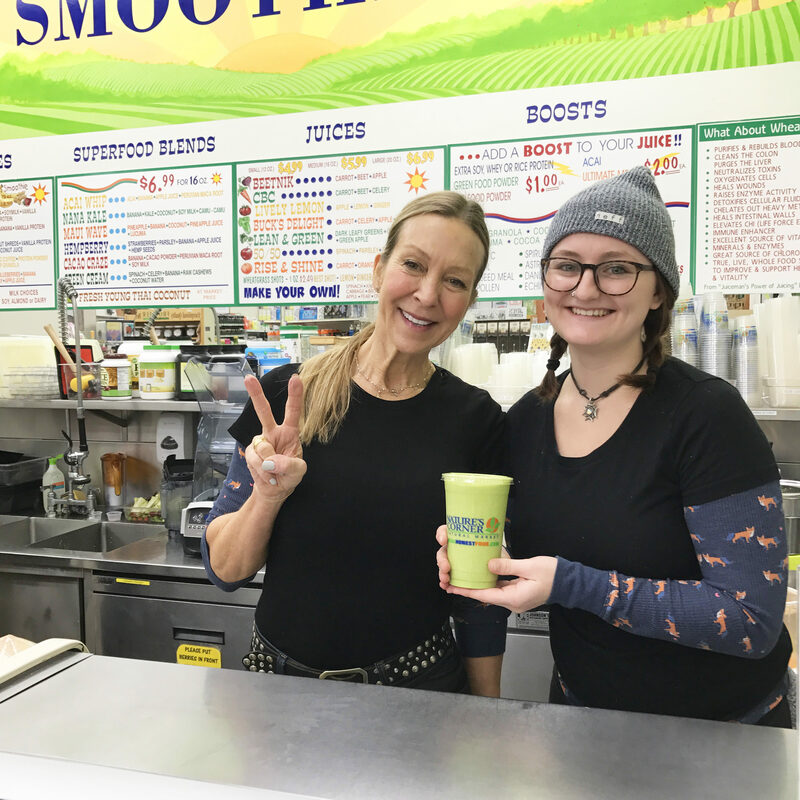 Here you can get a protein-packed post-workout smoothie or a custom juice made from any organic fruits and vegetables you choose, made fresh for you and bursting with phyto-nutrients, vitamins and live enzymes. If you’ve never experienced the revitalizing effects of Wheatgrass why not stop in and try a shot today? And if you’re feeling a little under the weather, chances are a Best Shot, made with fresh garlic, lemon and cayenne will help to clear you up. We have a large selection of superfoods, herbal tinctures and other boosters that you could add to your drink to increase your health and vitality. Drink and enjoy!